You may or may not know my obsession with the NARS Radiant Creamy Concealer. 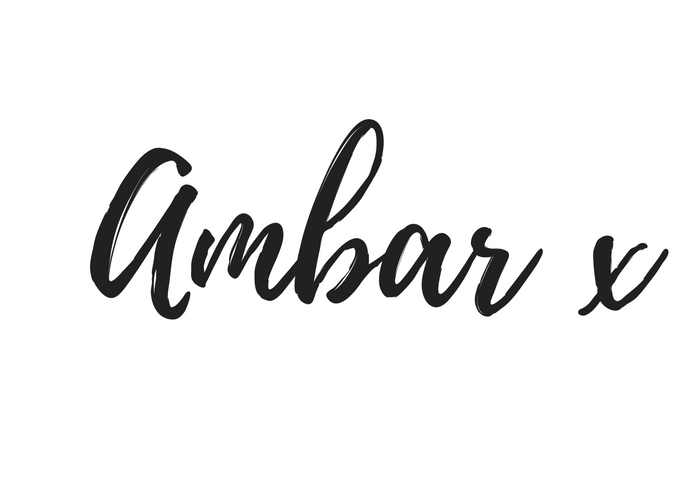 It is luxurious, light weight yet medium-to-full coverage and perfect for nearly every concealing job out there (the exception is probably tattoos). I even featured it in my 2015 Favourites. However, at a price of £22 for 6ml, it is expensive. Yes, the packaging is super pretty and sleek. Yes, the coverage is a tiny bit more. But all in all, I am certain that Maybelline have formulated the perfect dupe for this little tube of flawlessness. That is with none other than their Maybelline Fit Me Concealer. Firstly, take a look at the packaging. Very, very similar. Of course with NARS there will be that extra level of luxury, but with the Maybelline being only £5.99, I can’t really complain on that front. It still looks pretty sleek to me, even if it is plastic. Both have doe foot applicators for applying the concealer, with the Maybelline wand being a little longer than the NARS. That’s another thing – you get 6.8ml with Maybelline Fit Me, so a fair bit more product. Then take a look at the swatches. My NARS concealer in Custard on the left (running out a little hence it looking a little thinner) and the Maybelline Fit Me Concealer in Sand on the right. They look almost identical. 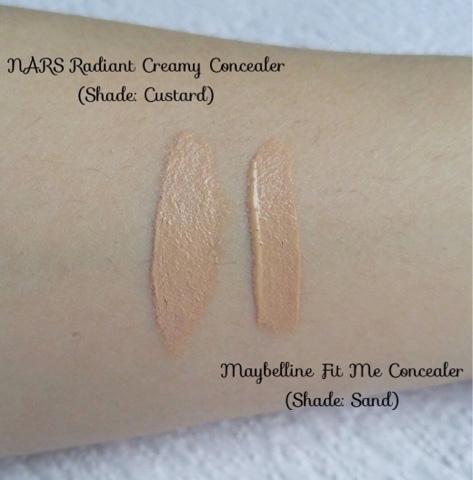 The coverage is very similar, I’d say, with the NARS being a little more buildable. Both consistencies are very lightweight (Maybelline Fit Me is actually a gel based formula) and hydrating without caking on the skin. They last a long time and are both easy to blend with fingers or brushes/sponges. NARS have a wider shade range, with Maybelline only making this concealer in six shades, but the latter is truly a great dupe if you find your shade. I seriously cannot sing enough praises about these products. Be sure to let me know if you try them!